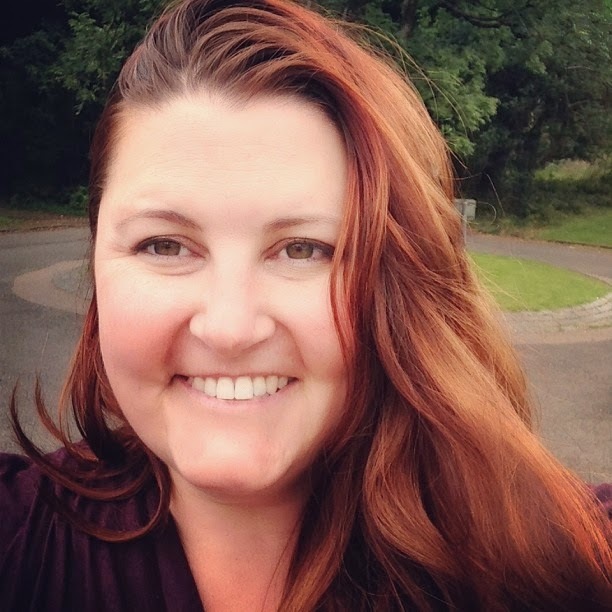 I'm pleased to welcome Rebecca Norinne Caudill to the blog! 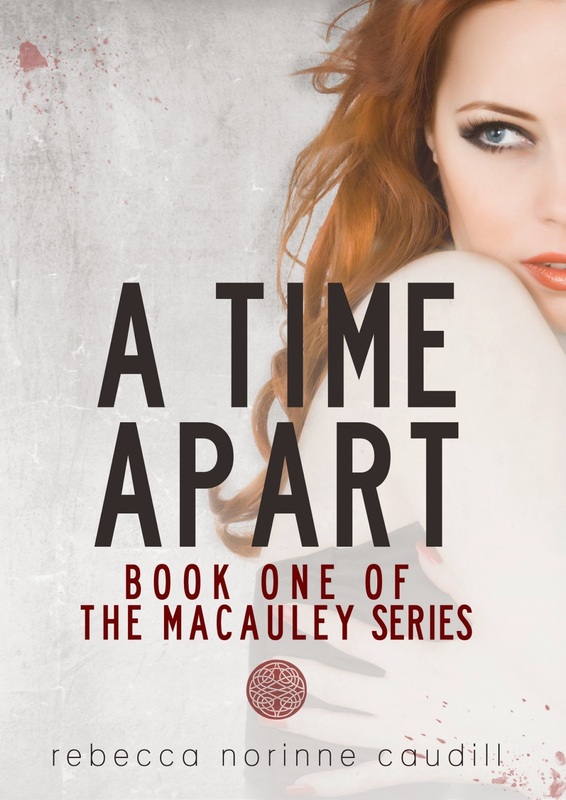 She was kind enough to join us with a post about her favorite scene in A Time Apart: Book One of the Macauley Series. A number of people have asked me what my favorite scene in A Time Apart: Book One of the Macauley Series was to write, and while I don’t want to give too many specifics away because it’s quite crucial to the plot, I can say with 100% certainty that my scene is one of the last ones of the book. When I initially envisioned the full story I knew how I wanted the relationship between William and Olivia to play out. They were always going to get together. Midway through the book we see her making the decision to be with him, which was a joy to write, but I knew it wasn’t The Scene. I felt that it was important for the story that when Olivia truly gives herself over to William that there be a romantic element to ground it. Yes, this book is firmly set in the world of the paranormal, but above all, it’s about the love these two people share for one another. Immediately I had conceived how it would go, in fact, I knew what I wanted to happen in that scene well before I had ever written the scene where William and Olivia first meet. When the time came to write it, I was a bit worried about going overboard or being able to artfully weave everything that I had initially envisioned in a satisfying way, but when done I felt immensely proud of what I had written. It’s one of the few scenes in the entirety of the book that didn’t really change at all during re-writes editing. I hope the readers of your blog enjoy it should they read A Time Apart: Book One of the Macauley Series. Olivia Donnelly has spent her whole life obsessing about how she will die. When tragedy strikes, reality comes crashing down and she’s forced to confront her fears head on. Hoping that a move across the globe will help her to cope with a devastating loss, she arrives in Ireland a broken down shell of a woman looking for a second chance at life. Almost immediately Olivia is drawn to places she’s never been, and to a man that she’s never met. When she crosses paths with the mysterious and frustratingly private William Macauley, her life is thrown into turmoil unlike any she has ever known. The two couldn’t be more different – she’s human, he’s a vampire – but Olivia can’t get him out of her mind. Having acknowledged her overwhelming desire for William, now she must come to terms with how her feelings for him will greatly alter her future. Olivia’s understanding of life – and death – take on new meaning as she examines the truth of the person she once was, the woman she was born to be, and how William is the key to her everlasting happiness. It was usually at this point in any flight where Olivia’s real panic kicked in. Shortly – terrifyingly – the plane would be airborne with nothing but land and sea below. While she knew statistically that airplanes were safer than cars, she’d never known anyone – let alone two anyones – who had been killed, their bodies never recovered, from a freak accident on the freeway. Not to say that it didn’t happen everyday; she just didn’t know anyone that it had happened to. To distract her mind, she listened to the crew outline the plane’s safety procedures and then the Captain’s welcome, including the weather forecast for Dublin – rainy and brisk, how shocking. Sipping the champagne the flight attendant had offered her when she boarded, Olivia felt the combination of the Valium and the alcohol take over her body, but not quite enough that she gave up the death grip she had on the arm rests. As she felt the tell tale tingle of the Valium working its magic, she thought – not for the first time – that maybe someday a plane crash wouldn’t be the worst thing to happen to her. Maybe someday she’d just never wake up from the self-induced drug and alcohol fueled nothingness she needed just to fly. Sadly, more and more frequently it wasn’t just plane rides that had her mixing booze and pills. Most days she wrapped herself in a hazy blur of alcohol like a security blanket, protecting her in a cocoon of mental fuzziness. Olivia felt her pulse beginning to race and her breathing accelerate, and she made a conscious effort not to panic, not to look over at Judgy lest the woman start advocating for professional psychiatric help. It wouldn’t have been the first time some well-meaning motherly type had tried to get Olivia into therapy. She stole a quick glance in Judgy’s direction only to find that she was already engrossed in her novel, Olivia’s neurosis and emotional paralysis the least of her concerns. Not too long after she had fought back the near panic attack, the whirring of the engines lulled Olivia into a stupor that soon resulted in a fitful sleep. For the next ten hours she didn’t exactly fall into a deep slumber, but she wasn’t fully awake either. Her mind seemed to float between a dreaming and wakeful state, and she felt strangely separated from her body. She’d see snippets of things in her head but wasn’t sure if the images were of events or instances that she was remembering, things she was imagining, or scenarios she was concocting to be used in her novel. And then Olivia saw, quite clearly, the face of a man she had never met and yet she felt like she had known him all of her life – blue eyes, sharp and unnaturally piercing as if he could see deep into her soul. She saw a field of green that stretched far and wide, rolling hills dotted with sheep and lined with stacked stone walls. She saw herself as a child chasing a puppy larger than she was down by a river while laughing that high-pitched squeal that only a child can make as the dog raced back toward her covered in mud and dripping with water. And then that image changed as quickly as it came and she saw her mother as a young woman, happy and carefree, in love with a man who was not Gerald Donnelly. And as she always did when in one of her fitful states of sleep, Olivia saw all the ways she could die – car accident; mugging gone horribly wrong after having put up a brave fight; her house on fire, the flames licking at her feet as she tried to run; her body weak and broken as it was ravished by cancer; or her heart slowly stopping as she lay in her bed, blind from old age and hunched with the rigors of time. And in these dreams she was ready for it – any of it – almost welcoming the vast blackness that would follow whatever her death would be. Rebecca Caudill read her first novel when she was just four years old and has been hooked on books ever since. When she wasn't writing her own stories, she was sneaking copies of her mom's paperbacks to read late into the night. Fast forward several years later and Rebecca graduated from the University of Pittsburgh with a B.A. in Journalism and a minor in English Lit, which gave her new insight into the written word. Following college, Rebecca embarked on a career in tech PR in the famed Silicon Valley, which eventually led to her leading Global R&D communications for a Fortune 500 company that everyone knows by name. Finally, after more than a decade of writing words ascribed to other people, in December 2014 she quit her job to pursue writing full time. Today Rebecca lives with her husband and beautiful-but-neurotic cat in Oakland, California. When not creating fictional worlds inhabited by strong women, rakes, rogues, and dashing heroes, she is planning her next vacation, trying out new recipes, or drinking Islay scotch. Thanks for having my on your blog. Appreciate you taking the time to share my guest post and information about my book. I haven't read a good vampire book in a while but this one sounds so good. The blurb/excerpt was great and I'm off to find it on Amazon! I haven't read about vampires recently either. I was burned out for a while, but I think I'm ready for a new one now. I love vampire books. Also, the cover looks really great. I like the colors, soft and rather ethereal. The excerpt sounds great! I can't wait to read this.